Best Part of the Job: Combining the two on a regular basis! Michelle has been called the Go-To Girl for advice on all things related to food and fun in the Metro area, so it should come as no surprise that she makes an excellent guide for those considering a move to Denver and surrounds. 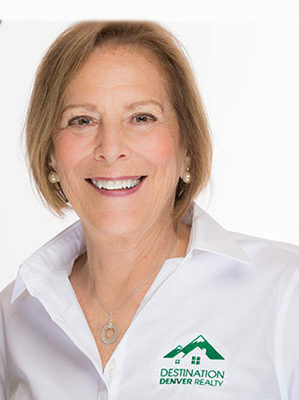 Her extensive knowledge of area neighborhoods and their hidden treasures—gleaned from decades spent in the area throughout all phases of her life—gives clients a unique perspective that helps them identify where they’re most likely to thrive within their soon-to-be hometown. Born and raised in Colorado, Michelle sought out adventures while living in other locales—including Wisconsin, where she earned degrees in psychology and art/drama from Milton College, and Southern California, where she soaked up the beach-city sun for several years while working in a variety of jobs/industries. It wasn’t until she returned to Denver in 1977 that she decided to replant her Denver roots, having recently met—and soon after, marrying—a man her mom fixed her up with. (See? Sometimes it works!) Michelle went on to enjoy successful careers in the food brokerage and travel industries while raising two sons and indulging in her passions for family, food and travel. Michelle can be reached at michelle@destinationdenverrealty.com or 303-907-1260. Click HERE to read more about the Destination Services we offer. Member of Yelp’s Elite Squad. Keeps one foot planted in the travel services industry, and considers Fiji, Costa Rica, and Mexico among her favorite vacation destinations. Her Travel Bucket List includes South America, Cuba, and Russia—as well as a couple U.S. states she hasn’t made it to yet! Might know more about Denver than 5280 Magazine. This year, Michelle is raising funds for BrightFocus Foundation’s Macular Degeneration Research Program. Her dad’s own struggle with the disease gave Michelle a firsthand look at its many devastating effects and has stoked her desire to help do something about it. You can support her efforts by learning more or donating online at brightfocus.org.